Nov. 29, 2016, 9:11 a.m.
With the end of the election season, and with all of the state’s votes counted, our election blog and data portal will transition from live coverage to an archive. This site will continue to house our reporting leading up to, during and immediately after the historic election on Nov. 8. The Mirror will continue to follow the election’s impact on Connecticut through our in-depth coverage of the state, including its education, health care and environmental policy; its politics and fiscal health; and its interests in Washington. Nov. 15, 2016, 9:12 a.m. The Secretary of the State's website reports that results from 100% of the state's 744 precincts are in. The only unknown race at this point is in is for the 53rd district seat in the State House, which is to be recounted because it was close. The results are still considered unofficial until the secretary of the state releases official results. This site's interactive results pages are based upon the data from the Office of the Secretary of the State, so we've been eagerly watching the number of precincts reporting tick up since last week. 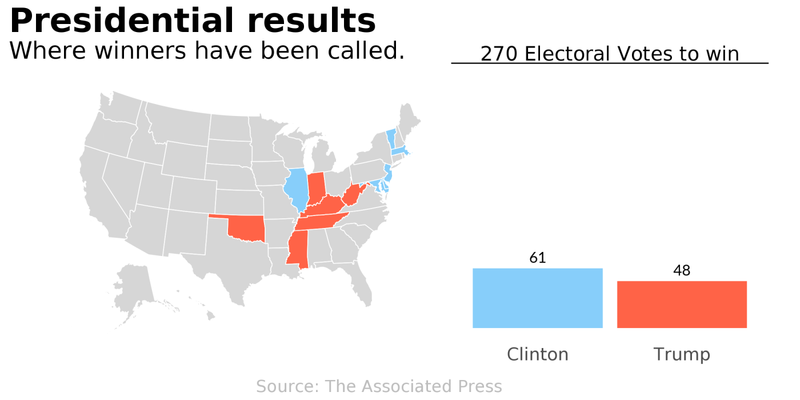 Nationwide, pollsters and prognosticators have taken a beating for incorrectly concluding Democratic candidate Hillary Clinton was more likely to win the overall election. Though Clinton is expected to win the popular vote when all the vote counts are finalized, she lost the electoral college to Republican Donald Trump. However, FiveThirtyEight, perhaps the most visible news site that ventured into predicting the likelihood of presidential and Senate election results, pretty much nailed it for Connecticut. Predicting a Clinton win in Connecticut wasn't a stretch; the traditionally blue state isn't considered a swing state, but FiveThirtyEight projected the margin in each race, and it got pretty close. The state's site reports president-elect Donald Trump received 41 percent in the state and his Democratic opponent Hillary Clinton received 55 percent. That's the same margin the Associated Press reports. The AP's results are used by most large news organizations, such as the New York Times. FiveThirtyEight, an ESPN publication formerly owned by the Times, predicted Clinton would get 52.8 percent of votes in the state and Trump would receive 40.2. The site's predictive model uses a mix of polls weighted by a number of factors and also factors in demographics. 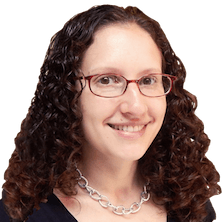 The state's data and the AP also align in reporting that Democratic incumbent Richard Blumenthal received 63 percent of the vote and Dan Carter received 35 percent. FiveThirtyEight predicted the Senate margin between Richard Blumenthal and Dan Carter would be 61.4 for Blumenthal and 35.9 percent for Carter. Nov. 15, 2016, 5 a.m.
Nov. 14, 2016, 5 a.m.
Nov. 10, 2016, 11:36 a.m. Questions lingered before Tuesday’s election about whether the “Trump effect” or “Malloy effect” would carry more weight at the polls in the minds of Connecticut voters. After a night of big gains in the state legislature, Republicans say the answer is clear: The unpopularity of Democratic Gov. Dannel P. Malloy outweighed any negative effects from President-elect Donald J. Trump at the top of the ticket. State Republican Party Chairman J.R. Romano went as far as to say Trump was a net plus for Republican candidates. Nov. 10, 2016, 11:32 a.m.
Connecticut’s debt costs, the product of decades of inadequate savings, will make it hard to reduce spending in the next state budget, regardless of increased pressure from new GOP lawmakers to do so. Nov. 10, 2016, 11:23 a.m. 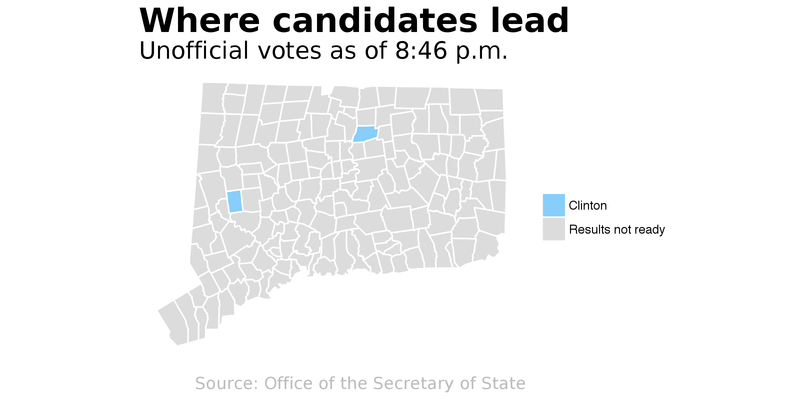 Though Hillary Clinton won the state of Connecticut, in most towns she did not get the share of votes President Obama did four years earlier. Nine or 10 towns flipped from supporting Mitt Romney in 2012 to voting for Clinton this year— most notably in the Southeast part of the state that has tended to lean Republican in previous elections. Nov. 9, 2016, 11:33 a.m.
Come January, the nation will have a president and Congress that have pledged repeatedly to repeal Obamacare. But in the meantime, there’s a sign-up period going on for people to buy coverage through the insurance exchanges created by the health law. So what happens now? Nov. 9, 2016, 11:26 a.m.
Washington – The day after Donald Trump’s stunning victory, Connecticut lawmakers said they would give the new president-elect a honeymoon period, but it may be short lived. Nov. 9, 2016, 4:23 a.m.
Hillary Clinton conceded the presidency to Donald Trump in a phone call early Wednesday morning, a stunning end to a campaign that appeared poised to make her the nation's first female president right up until Election Day. Nov. 9, 2016, 2:13 a.m. BREAKING: Clinton campaign chairman John Podesta says her campaign will have nothing to say tonight about the state of the race. Nov. 9, 2016, 12:09 a.m. It's looking possible that Trump will win the electoral vote while Clinton could win the popular vote. Nov. 9, 2016, 12:04 a.m.
Legal recreational marijuana wins in Mass. Recreational marijuana will be legal across the border in Massachusetts, the voters have decided. Nov. 8, 2016, 11:58 p.m.
Republicans made stunning gains in state legislative races Tuesday to force a likely 18-18 tie in the Senate and narrow the Democratic majority in House, overcoming a Democratic tide at the top of the ticket that carried Hillary Clinton and U.S. Sen. Richard Blumenthal to victory in Connecticut. Nov. 8, 2016, 11:29 p.m.
After looking at a TV celebration marking Donald Trump's increasingly strong election night performance, victorious U.S. Sen. Richard Blumenthal promised not to let political affiliation get in the way of progress. “I am going to work with whoever president is,” he said. Nov. 8, 2016, 11:24 p.m.
With about two thirds of the votes counted, Massachusetts voters are favoring the legalization of recreational marijuana. Here's the Boston Globe's interactive map on the subject. 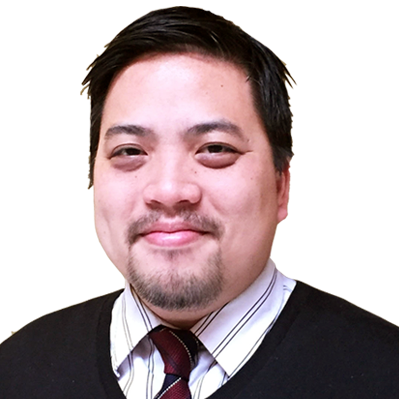 Nov. 8, 2016, 11:15 p.m.
About 20 percent of all towns are in the process of reporting their results, as well as 33 percent of all precincts in the state. Nov. 8, 2016, 11:06 p.m.
That's 55 electoral votes for Clinton. Nov. 8, 2016, 11:02 p.m.
Nov. 8, 2016, 10:33 p.m.
Nov. 8, 2016, 9:30 p.m. While Connecticut voters backed Hillary Clinton over Donald Trump, one of the most contentious presidential races in modern history polarized residents on both sides of the debate. By 9 p.m., polls had closed in Connecticut and in 39 other states, as well as in the District of Columbia. Even with Connecticut’s seven electoral votes projected to be in Clinton’s hands, several of the key “battleground” states still were undecided and the race for president remained too close to call. And while Connecticut voters turned out in high numbers expected to approach 75 percent, some voters here reflected national polls showing they weren’t excited about either presidential contender, and – in some cases – repulsed by both. Surprisingly, Connecticut has still not been called yet, though polls closed an hour and a half ago. Nov. 8, 2016, 9:02 p.m.
With a small percentage of the vote in, four of Connecticut members of the U.S. House of Representatives have been declared winners on Election Night. According to projections from several major news organizations, Reps. John Larson, D-1st District, Joe Courtney, D-2nd District, Rosa DeLauro, D-3rd District and Jim Himes coasted to re-election with 11 percent or less of the vote counted. The only race not called yet is the one between Rep. Elizabeth Esty, D-5th District and her challenger, Republican Clay Cope, the first selectman of the town of Sherman. Nov. 8, 2016, 8:51 p.m.
Roxbury and South Windsor have begun reporting their results. So far, that's .27 percent but things will pick up soon. Nov. 8, 2016, 8:32 p.m. The CT Mirror has projected the unofficial winners of elections in which incumbents are running unopposed. We'll post the results here as we gather them. 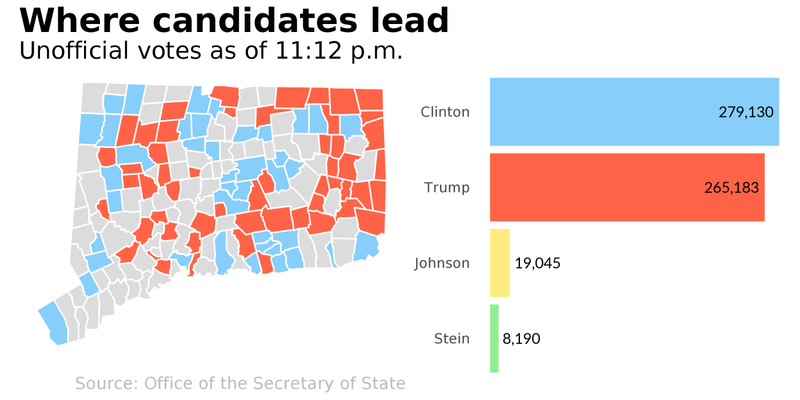 Nov. 8, 2016, 8:11 p.m.
Donald Trump has already lost his electoral lead after The Associated Press called additional state results. Clinton has been projected to win Delaware, Illinois DC, Maryland, New Jersey, and Massachusetts. While Trump has won Oklahoma, Indiana, Mississippi, and Tennessee. 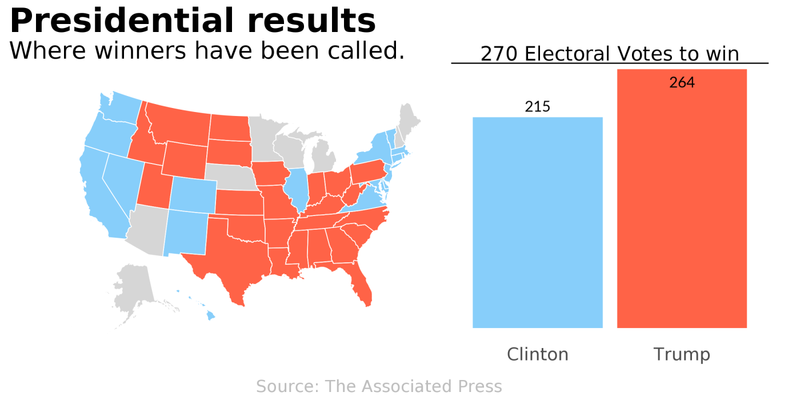 There are 426 electoral votes still up for grabs. Nov. 8, 2016, 8:05 p.m.
Democratic Sen. Richard Blumenthal handily won re-election Tuesday night as his party struggled to gain enough seats in the Senate to wrest control from the GOP. Blumenthal was projected as the winner minutes after the polls closed at 8 p.m. lin Connecticut. His challenger was Republican Dan Carter. Nov. 8, 2016, 7:54 p.m. 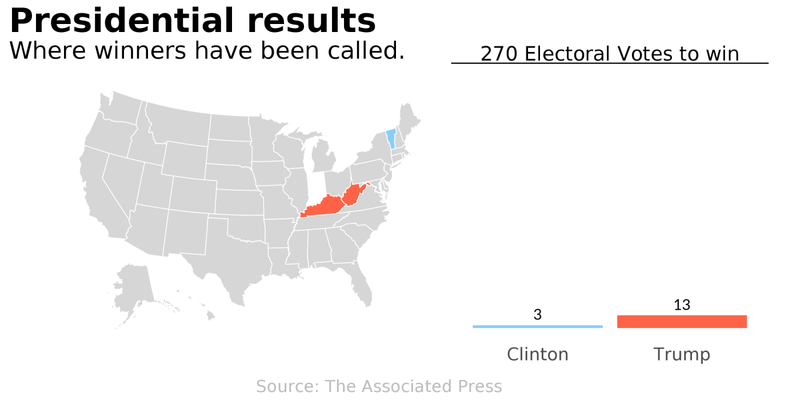 The Associated Press has called Kentucky and West Virginia for Donald Trump, giving him 13 electoral votes. 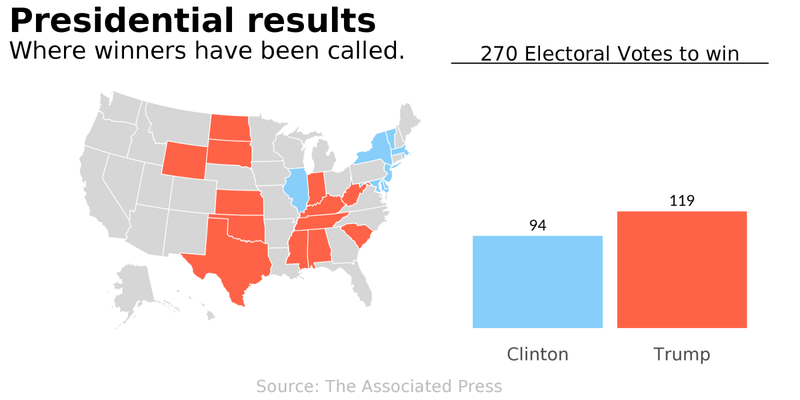 Hillary Clinton was called the winner of Vermont, which gives her 3 electoral votes. 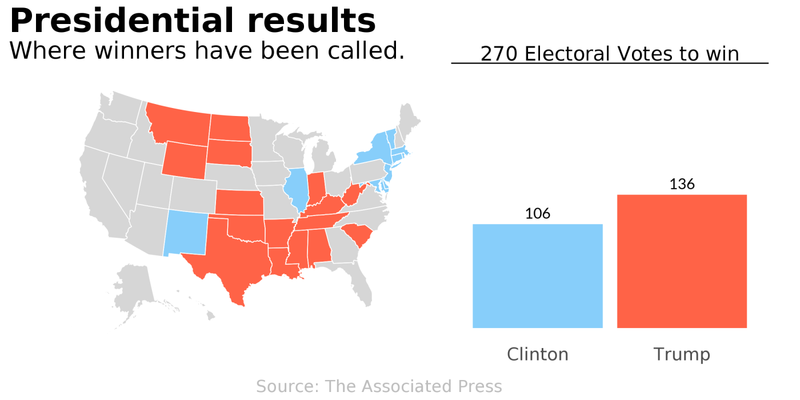 There are 508 electoral votes still up for grabs. Nov. 8, 2016, 6:26 p.m.
As voters streamed into the Mansfield Community Center Tuesday morning, state Sen. Mae Flexer, a Killingly Democrat, pounced when asked whether Donald Trump might be affecting her opponent's chances in the race. "I think that [John] French's comments in support of Trump were deeply disturbing, especially when he said that the comments that Mr. Trump made on the Access Hollywood video were acceptable for high school students," Flexer said. "It's never acceptable for anyone to joke about sexual assault." French, her Republican challenger, responded with a jab of his own later in the afternoon outside the Elks Club in Windham, saying Flexer's attempts to distance herself from Democratic Gov. Dannel P. Malloy have been disingenuous. He said Flexer votes in lockstep with Malloy's agenda. "You just have to look at the record to see none of this is true," French said. "She's out there absolutely lying to the people here, and she does a whole different story when she's up in Hartford." The 29th District race is a rematch of the 2014 campaign, where Flexer bested French by 520 votes. The tone of this year's race has been deeply personal, with both candidates launching attacks in the final weeks of the campaign. French has worked to tie Flexer to Malloy throughout the campaign. He said he believes the state's unpopular governor is "hugely" affecting the race. But Flexer disagreed, and said Malloy won't be a factor. "I think I have a strong track record of standing up to Gov. Malloy when it is necessary to meet the interests of northeastern Connecticut," Flexer said. "And my opponent's attempts to say otherwise are not going to work." French also criticized what he said was Flexer's courtship of President Obama's endorsement, which she received this past weekend. "Well, that's about as good as me having Abraham Lincoln give me an endorsement by way of the Ouija board," French said. Obama's endorsement of Flexer touted her as "a candidate who has my back and yours." "This election isn’t just about defeating extreme Republican candidates, it’s also about electing strong Democrats, like Mae Flexer, who will fight to defend the progress we’ve made over the past eight years," Obama said in a statement. Nov. 8, 2016, 5:42 p.m.
20K voters registered on Election Day as of 5 p.m.
As of 5 p.m., approximately 20,000 people have registered to vote using Election Day registration on Nov. 8, according to the Connecticut Secretary of the State. There's still three more hours left in the day to be registered and in line to vote. Nov. 8, 2016, 5:18 p.m.
Twelve-term incumbent state Sen. Joe Crisco, a Woodbridge Democrat, and his Republican challenger, George Logan, spent at least some of the day campaigning at the same polling station in Hamden. 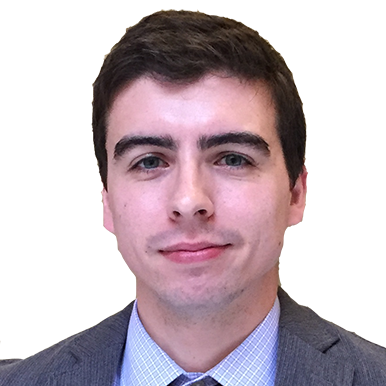 The portion of Hamden in the 17th District has been reliable for Crisco in past election cycles, but Logan's campaign has made a concerted push to cut into his margin there. Linda Lambeck, a reporter for the Connecticut Post, captured a video of the two candidates standing side by side while talking to a voter this afternoon. Nov. 8, 2016, 4:52 p.m.
It’s not that Heather Somers and Tim Bowles heard radically different messages from Connecticut voters. But the candidates in one of the most crucial swing districts in the battle to control the state Senate — who both criss-crossed southeastern Connecticut to meet voters Tuesday — didn’t exactly read the public will the same way either. The 18th Senatorial District candidates, battling for the seat being vacated by retiring Sen. Andrew Maynard, D-Stonington, agreed that voters are thrown by the state of politics in general. But Somers, former Groton town mayor and the Republican Party’s 2014 nominee for lieutenant governor, said voters were focused solely on the controversial race for the White House. Somers spoke with The Mirror in between greeting voters at the Fitch High School in Groton. But while the former Groton mayor said voters’ motivation was a frustration with Democratic control of Connecticut’s executive and legislative branches since 2011, Bowles believes the public concern comes from a different place. “People are so fed up with politics in general because they believe we need to be working in a bipartisan way,” Bowles said while greeting voters outside of the Griswold Town Hall. Both parties, as well as special interest groups, targeted the 18th District race, which was not considered a sure thing for either party. The former representative, who served in the House in 2013 and 2014, said he wanted more discussion about environmental issues, including Connecticut’s role in combating global warming and improving the state’s readiness for extreme storms. Bowles, who secured passage of a measure during his House tenure creating regional councils to coordinate human service programs, said the preservation to protect Connecticut’s social safety net deserved more attention as well. Nov. 8, 2016, 4:48 p.m. In New Haven, across the street from where Hillary and Bill Clinton had their first date: Free bread with a "Yo vote" or "I voted" sticker. Nov. 8, 2016, 4:12 p.m. Some local candidates say the presidential election has overshadowed other races, but to Mike Winkler, a town councilman from Vernon running for the state House, it had one benefit: When he started knocking on doors June 13, no one said it was too early. “I’m persistent, but I’m not very fast,” he said, explaining why he started earlier than candidates typically do in town. The issues voters often wanted to discuss: The bad candidates for president. Taxes. And schools. As Winkler stood outside Rockville High School, a man walked up and shook his hand. “Thanks for visiting my apartment. I wasn’t home,” the man said. “I even knocked on the apartments. They’re not used to that,” Winkler said after the man left to vote. Winkler is a Democrat running for the seat being vacated by Claire Janowski, a fellow Democrat who campaigned for him. Both Winkler and his opponent, Republican Jim Tedford, are members of the Vernon Town Council, and both are union activists. Janowski, who said she’s been involved in campaigns since she was a Girl Scout and marched in a parade and threw candy for John F. Kennedy in 1960, said she can’t recall an election like this year’s presidential race. Many voters are worried about what will happen. Even so, she said, they tend to be confident at the local level. “They know people at the local level,” she said. Nov. 8, 2016, 4 p.m.
U.S. Sen. Chris Murphy stopped by Rockville High School, where state House candidate Mike Winkler was greeting voters, at 3:30 Tuesday afternoon. He brought news of high turnout in Manchester – where he figures most of the voters are Democrats. “The big question was would people’s disgust with the tone of the election turn into apathy or action?” Murphy said. His impression was that the answer to that is action – in Connecticut and other states where he’s recently campaigned – New Hampshire, Ohio and Florida. Of course, he added, it’s possible some of the turnout comes from Trump voters who haven’t participated in past elections. Murphy noted that it’s been an unusual year in Connecticut, with no high-profile state election. Even so, he said, there are lots of volunteers in the Democratic Party headquarters. A big win for Hillary in Connecticut, 52 Democratic members of the U.S. Senate, and a comfortable Clinton victory nationally. He added: We need to find a way to bring people together – we can’t have 45 percent of the country believing the president should be in jail instead of the White House. Jeff Cashman, a 57-year-old farmer from Clinton, says everything he has, he built with his hands. So, too, did Donald Trump, he says. "It's a privilege for me to vote," Cashman said. "I think our country needs a new direction." He cast his ballot for the Republican presidential nominee Tuesday afternoon at Clinton Town Hall. He said he always makes sure to vote. Cashman said he thinks too many people are losing faith in the American Dream – to start from nothing and build something. "I know what it's like to have nothing," he said. Trump's ability to turn a $1 million loan from his father after graduating from college into a successful business and a shot at the White House exemplifies the American Dream, Cashman said. But he conceded that Trump has his drawbacks. "He's not perfect," Cashman said. "Neither is Hillary Clinton." Nov. 8, 2016, 3:45 p.m.
Eric Avrumson showed up to vote for Trump in Hartford’s liberal West End, where he says the Donald’s support is easy to measure. “I’m the one,” he said. It was a souvenir from a party. The moderators didn’t make an issue of him wearing the hat as he voted. 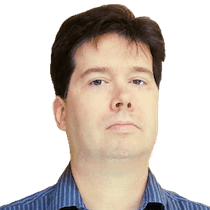 Avrumson, a health-care consultant, said he is a registered Democrat and social liberal, but he is a fiscal conservative. “Taxes are going to go up if Hillary is elected, not just on the wealthy, but across the board,” he said. One of Avrumson’s fellow voters was less passionate about voting. Hernan LaFontaine, 82, a scarred veteran of the political wars — he is a former Hartford school superintendent and a Democratic city councilman — said he found it healthier to disengage this angriest of elections. But, of course, LaFontaine was not completely disengaged. 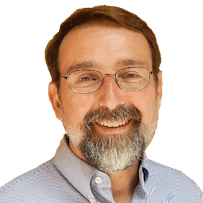 Nov. 8, 2016, 3:15 p.m.
Washington -- Kyle Kondrik, managing editor of Sabato's Crystal Ball at the University of Virginia Center for Politics, predicted Tuesday that Hillary Clinton would win 322 electoral votes today, while Donald Trump will garner 216. 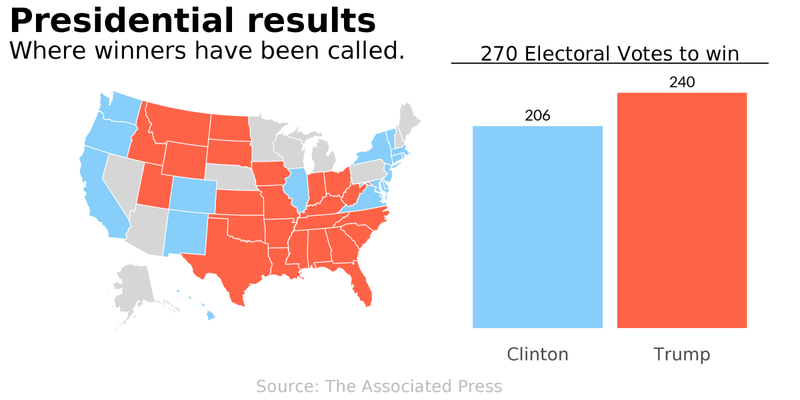 A total of 270 electoral votes are needed to win the presidency. Polls show the race in battleground states have tightened in the last 10 days. On Tuesday, they showed the presidential candidates running neck-in-neck in New Hampshire and Florida. But Clinton may not need those states if she wins all traditionally "blue" states like Connecticut and Colorado, New Mexico, Nevada and Wisconsin, which are leaning Democratic this year. The Center for Politics also predicted the Senate would be split, 50-50 between the Republican and Democratic parties, making the next vice president the tie-breaker in that chamber. Nov. 8, 2016, 3:03 p.m.
2nd District Congressman Joe Courtney, a Vernon Democrat, says this year’s healthy turnout in Connecticut might mean something very different than it has in past years. The former state representative acknowledged that the contentious presidential race between Hillary Clinton and Donald Trump has left plenty of his constituents somewhat dejected about politics in general. But considering that early signs have voter turnout similar to the robust numbers Connecticut achieved in the 2012 and 2008 presidential contests, “this year’s turnout kind of speaks volumes,” Courtney said while greeting voters early Tuesday afternoon outside of Fitch High School in Groton. The 2nd District comprises most of eastern Connecticut, which has a larger share of unaffiliated voters than most other sections of the state. Nov. 8, 2016, 3 p.m.
A business owner stopped Robin Green in the parking lot of the restaurant where she went for breakfast. Green said he told her Connecticut is a mess, that the state needs to control taxes and spending. “Go do it,” he said. 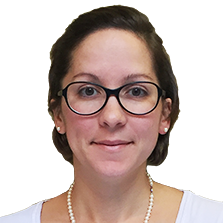 Green is not yet an elected official, but for her, Election Day carries little suspense: She’s unopposed in seeking the open state House seat representing Andover, Bolton, Hebron and Marlborough. Incumbent Gayle Mulligan is not seeking re-election. Green, a Republican, owns three Discovery Zone Learning Centers and previously worked in nonprofits. Throughout the campaign, Green said, voters have mostly been concerned about the economy. She said she gets few questions about the top of the ticket. “Our state is in such a mess that people need to be paying attention to what’s going on,” she said. Nov. 8, 2016, 2:51 p.m. Approximately 9,000 people were registered to vote using Election Day registration by 12 p.m. on Nov 8. Nov. 8, 2016, 2:30 p.m.
One man who showed up at Bolton Town Hall with a Trump sticker was voting for the first time in 25 years, First Selectman Bob Morra said. To him, it was a sign of the enthusiasm for the election. Whatever their motivation, a big chunk of Bolton voters showed up at the polls: By 11:40 a.m., 1,563 people had cast ballots in a town with 3,412 active voters. “I think Trump is going to win,” Morra’s wife, Paula, said – a confidence bolstered by what she termed her addiction – Fox News. Trump wasn’t her first choice. She didn’t like the negativity of the campaign and she didn’t approve of everything he did. But she felt he was better for the country than Hillary Clinton, who she said she had researched. “I have a problem with people who lie,” she said. Bob Morra called Trump “the lesser of two evils.” But, he said, “I think Washington has no sense of reality of what America is all about.” In particular, he said, small businesses and the middle class have struggled over the past eight years. A veteran, he was appalled by the condition of VA hospitals and treatment of veterans. And he thinks the nation needs to get back to a stance that allows it to be viewed as the policeman of the world. “If you take a policeman out of a troubled neighborhood, it doesn’t get better,” he said. Morra said he agreed with the concept and goals of the federal health law that passed in 2010, but he called the methodology a failure, and said those in charge need to have the courage to go back and fix it. A Clinton administration wouldn’t be likely to do more than tweak it, Morra said. While Morra was not thrilled by the presidential candidates, he had decidedly different views on the local elections. 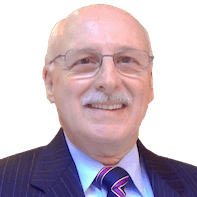 Although he’s a Republican, he considers Sen. Steve Cassano, a Democrat seeking re-election, a friend, even though he disagrees with how Cassano votes. And he noted that he’s worked with U.S. Rep. Joe Courtney, another Democrat, for more than 30 years. Still, he hopes his party takes the state House of Representatives and can help to control state spending. Nov. 8, 2016, 2 p.m.
Woody Dawson stood as a silent sentinel for Donald J. Trump outside Cheshire High School, where the school’s raucous Young Democrats’ club greeted voters with signs touting Hillary Clinton for president, Elizabeth Esty for Congress and Liz Linehan for state House. Joe Falvey, left, and Woody Dawson. Joe Falvey stood nearby with a sign for his father, Andy Falvey, the Republican competing with Linehan for an open state House seat. He has his own history with Linehan: He lost a close race to her for the Cheshire council three years ago. His father is voting for Trump, but the unconventional GOP candidate for president has been a complicating presence for down-ballot Republican candidates. Dawson is a long-time activist, but some of the new voters Trump has attracted aren’t saying if their newfound interest in politics goes beyond Trump. When door-knocking, Falvey’s campaign workers noticed that the owners of houses with Trump lawn signs did not appear on their list of Republicans and unaffiliated with a history of voting. They’ll knock on those doors, with mixed results. The late-morning voters included Esty, a Democrat seeking her third term representing the 5th Congressional District, and U.S. Sen. Chris Murphy. Linehan and Sen. Dante Bartolomeo, D-Meriden, each in a close race, greeted them. Linehan laughed and thanked her for her vote. Esty, who hit her first polling place at 6:01 a.m. in Danbury, said turnout seemed solid to heavy across the state, especially among women — a sign of a good day for Democrats in Connecticut. David C. Schrumm, a Republican former councilman, heckled Murphy as he departed the polling place about his vote for Obamacare. “You still didn’t read the bill,” Schrumm said. Murphy told him he needed new talking points. Schrumm’s wife rolled her eyes. Esty said the country would need to heal after the polls close. Bartolomoeo wouldn’t mind seeing a little healing, but she’ll settle for a clear result. She unseated Republican Len Suzio in 2012, defended her seat against him in a 2014 rematch and faces him once again this year. Nov. 8, 2016, 1:53 p.m.
Ballot-reading machines at three city polling places broke this morning, causing a long line in at least one location and more than a few unhappy voters. Nov. 8, 2016, 1:17 p.m.
"Hold your nose and fill in the dot"
Dianne Grenier held her hands a foot apart to illustrate: It’s the size of her list of reasons not to vote for Hillary Clinton. The problem is, she has a list that’s just as long of reasons not to vote for Donald J. Trump. “I felt neither one was even close to ideal,” the Andover resident said. Grenier doesn’t think it’s right to vote for a third-party candidate. And not voting wasn’t an option. So she did what she figures a lot of people did: “Hold your nose and fill in the dot.” She decided to vote for the first female president, despite her misgivings about Clinton. “No matter who wins, I don’t think there’s going to be a lot of people happy,” she said. 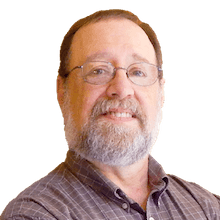 To Grenier, who retired after 40 years as an engineer at Pratt & Whitney, this election is reminiscent of the races Richard M. Nixon won in spite of the fact that few people ever admitted voting for him. “Give us a year and see how many say they voted for whoever wins,” she said. Nov. 8, 2016, 1:07 p.m. In 20 years in politics, Lorraine Marchetti was never asked who she was voting for. Until this year. “This time I’ve been asked repeatedly,” said Marchetti, a Glastonbury Republican challenging Sen. Steve Cassano, D-Manchester. During a forum at the senior center, it was the first question: Which presidential candidate will you pick? Marchetti’s answer has been that she wasn’t sure who she would pick, that it’s a privilege to vote in privacy, and that she didn’t see how her vote in a presidential contest would affect how she would represent her constituents. Her thought process: The person asking could be a Democrat trying to trip her up or a Republican who would call her out if she didn’t support the party’s nominee. And if not saying cost her a vote, there’s nothing she could do about it. Once conversations with voters got past the national elections, they seemed to go better, she said. “The one issue everybody has is money matters,” she said, citing the cost of living in the state and taxes. A former Glastonbury Board of Education and Town Council member, she emphasized her willingness to work hard on the problems with people from both parties and her track record of working with others. Marchetti spent the morning in Glastonbury before stopping at a cookout outside Bolton Town Hall, where the local Republicans were holding a cookout. Her sense of how this election will turn out? “Honestly, I don’t have a sense of it at all because of the national election. Anything can happen,” she said. Nov. 8, 2016, 12:06 p.m. In one of the key races in the battle to control the state House Representatives, the 22nd Assembly District contest between incumbent Democrat Betty Boukus and GOP challenger Dr. William Petit — both from Plainville – optimism was running high on both sides on Election Day. Petit, a home invasion survivor with a national profile, was tagged early on as a strong challenger to Boukus, a 22-year veteran and co-chair of the legislature’s powerful bonding subcommittee. Despite his background, and a historically contentious presidential race that threatened to overwhelm all other debates, Petit said he was pleased his contest, for the most part, focused on challenges facing his district and the state. Dr. William Petit and supporter Nancy Blanchette of Bristol at Our Lady of Mercy parish center in Plainville. Petit, who estimated he knocked on 7,000 to 8,000 doors during his campaign, centered much of his message on the need for greater fiscal responsibility. “The most common theme we heard over and over again was that it was time for a change,” and that state government needs to get its finances in order, Petit said. But Boukus said she believes one of her big accomplishments over the past year was to muster overwhelming bipartisan support for a plan to cancel nearly $1 billion in state borrowing. The incumbent Democrat said, “I’m so proud of that” effort to streamline the state’s credit card, an exercise that earned Boukus praise and support from Democrats and Republicans alike. What are your top three issues? Students from Eastern Connecticut State University are surveying voters as they leave the polls to find out what issues are most important to them. Slips of blue paper identifying a long list of issues are being handed to voters as they leave the polls: Social welfare programs, immigration, environment/climate change, women's rights, racial inequality, education, etc. Here are two of the surveying students, Thomas Willingham of East Hartford and Adilsa Encarnacao of Waterbury. Loretta Waldman, a writer forUConn Today, reports that Millenials at the University of Connecticut have been fired up by this election and helped at about 3,000 new voters to the rolls in Mansfield where they vote. Nov. 8, 2016, 11:44 a.m. Here's a tally for which presidential candidate the 10 largest newspapers in Connecticut endorsed. Hillary Clinton won seven, Donald Trump one and two newspapers gave no one the nod. The Hartford Courant wrote, the candidates "are not even in the same ballpark. Critics though she may have, Mrs. Clinton is a smart, compassionate leader. Mr. Trump is a showman whose act is regrettably playing well on Main Street. It is a dangerous act and must be ended." The Waterbury Republican American gave an anti-Clinton endorsement for Trump. "Republican Donald Trump and Democrat Hillary Clinton are the worst nominees in memory," they wrote. "Mr. Trump is no prize, either. Since the outset of the campaign, he has made headlines with bizarre, offensive and juvenile remarks. He also has demonstrated ignorance on policy... 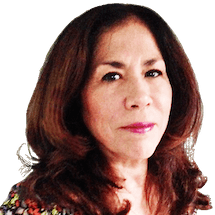 However, in light of Mrs. Clinton’s appalling record and personal qualities, Mr. Trump should get the nod." The New Haven Register for the first time in its history "decided this year not to endorse a presidential candidate." because of all the scandals that surround both of them. The Journal Inquirer never endorses presidential candidates, and didn't feel inspired to change that this time around. Want to read the endorsements, and non-endorsements? Click below on a newspaper below. Hillary supporter: "I wake up frightened." Elaine Kahaner was upbeat as she walked out of her polling place with longtime friend Dorothy Horwitz. She sported a Hillary hat and a sticker declaring that she’d voted. “It’s really quite wonderful to see so many people out voting,” Kahaner said. Kahaner said she was an early Clinton supporter. She liked what the former secretary of state had done in the world. Asked about how she was feeling about the election, though, Kahaner’s tone changed. “I’m very frightened. I wake up frightened,” she said. The demagoguery, she said. “The Republican candidate has given permission for people to express their bigotry and prejudices.” And she said she worries that people will never allow the facts to interfere with their beliefs. As Kahaner spoke to a reporter, another woman walked by, then turned around and addressed Kahaner: “I voted for Hillary,” she declared. Nov. 8, 2016, 11:31 a.m.
Sal Motta showed up to vote, but asked about the choice, he looked pained. The Manchester resident was more motivated by local issues than the presidential race, but said he was frustrated that so much focus had been on the presidential race and so little information was available about local issues. “Now more than ever, I feel like we don’t even have any idea who the right person is,” Motta said as he waited in line to vote at Highland Park Elementary School. In fact, until he got in line, Motta said, he wasn’t sure who he’d vote for. In the end, he decided the most important thing was stability in the world, rather than going in a wild new direction. So which candidate represented that to him? Motta declined to say. Instead, he pointed to his 2-year-old son, who joined him in line wearing a Spiderman costume. “Today we’re voting for justice,” he said. Nov. 8, 2016, 11:30 a.m. The Trump-Pence lawn sign posted outside the stone wall in front of FBI Director James Comey's Westport home has, for some strange reason, been removed, the Westport News reports. Nov. 8, 2016, 11:13 a.m. In Canton, at least, the early turnout has been high. Theresa Sullivan Barger, a freelance writer and former Hartford Courant reporter, posts on Facebook that her district in Canton had experienced a 33 percent turnout by 10 a.m.
"Longest line I've ever seen since voting in every election since 18. I've been waiting for more than 30 minutes," she said. Nov. 8, 2016, 11:11 a.m. Turned off by presidential race, but hopeful about local politics? More than 1,300 people voted at Manchester's Highland Park Elementary School by 10 a.m. – a high turnout, poll workers said. The line was still out the door. The turnout surprised Samantha Tweedie, 28, who stood outside the school with a sign that read, “Vote for my dad Mark Tweedie.” Her dad is a Republican state representative seeking re-election. Samantha Tweedie said she’d expected a lighter turnout because people seemed so fed up with the presidential election. “They’re just exhausted by the negativity,” she said. But perhaps people still have some hope for local politics, she added. State Sen. Steve Cassano, a Democrat seeking his fourth term, was also impressed by the turnout at the school, his polling place. “Literally around the world, people are watching us very, very carefully because there’s fear,” he said. How did the presidential election affect local campaigns? Cassano said there’s always a concern about being overshadowed, particularly given the volume of television ads. And that, along with the hostility in the presidential race, led his campaign to work harder at reaching voters door-to-door, he said. Nov. 8, 2016, 10:48 a.m.
U.S. Rep. Joe Courtney, D-2nd District; State Sen. Mae Flexer, D-Killingly; and State Rep. Gregg Haddad, D-Mansfield, took advantage of warm morning sunshine and a busy poll to greet the public outside the Mansfield Community Center. U.S. Rep. Joe Courtney, D-2nd District, and State Sen. Mae Flexer, D-Killingly, chat with a student voter outside the Mansfield Community Center Tuesday morning. This poll is the one where thousands of University of Connecticut students will vote throughout the day, and one at which students from Eastern Connecticut State University were conducting an exit survey to learn which issues (not which candidates) were most important to voters. Nov. 8, 2016, 10:37 a.m. In a year when the normal rhythms of politics fell away, Gov. Dannel P. Malloy was mindful of voting rituals Tuesday morning as he arrived with his wife, Cathy, to vote at the Hartford Seminary, his polling place in the West End of Hartford. “I think we take elections as both obligations, but also a revered ritual,” Malloy said. He was of the same mind as many voters of both parties. Nov. 8, 2016, 10:30 a.m. Reminder: To report suspected voting fraud or voting rights problems, call 1-866-733-2463. It will be staffed by the Connecticut State Elections Enforcement Commission (SEEC) during polling hours on Election Day. Update: The Office of the secretary of the state said they would look into this report. The moderator at the New Britain polling place, Lucien Zysk, said later Tuesday that some question had arisen with two voters but that it hadn't concerned an ID and that all of the workers at the polls understood that driver's licenses that are not valid for federal identification are nonetheless valid for voting. Nov. 8, 2016, 10:29 a.m.
WASHINGTON — It's not a phenomenon limited to Connecticut. The Washington Post is reporting long lines at East Coast polling sites, "suggesting voters could push turnout to new levels in some places, even as many decried the campaign’s harsh and bitter tones." Nov. 8, 2016, 10:11 a.m.
Nov. 8, 2016, 10:05 a.m.
Nov. 8, 2016, 9:55 a.m. The line to vote is out the door at Highland Park School in Manchester. Sen. Steve Cassano says turnout in Manchester is 1,000 votes ahead of 2012. Nov. 8, 2016, 8:59 a.m. When voters came to Hartford's Batchelder Elementary School to vote in 2014, they had to wait for the ballots to arrive. Not this year. When the doors opened, workers were ready. Within the first 30 minutes, nearly 200 people had voted. A steady flow of voters continued through 9 a.m.
Vic Viera and company are to credit for some of that. He and his local state representatives have arranged a hotline for Hartford residents to call to get a ride to their polling location. "We want to get people to the polls," said Viera. Need a ride? Hartford residents can call 860-655-7470. Nov. 8, 2016, 8:47 a.m.
Governing.com is projecting that the Connecticut state House is leaning Democrat while the State Senate is a projected tossup. Here's our overview of what to watch for in each of the competitive Senate races as the results come in tonight. Check our State Senate results page after 8 p.m.
Nov. 8, 2016, 7:58 a.m.
Long waits in line reported in New Haven. 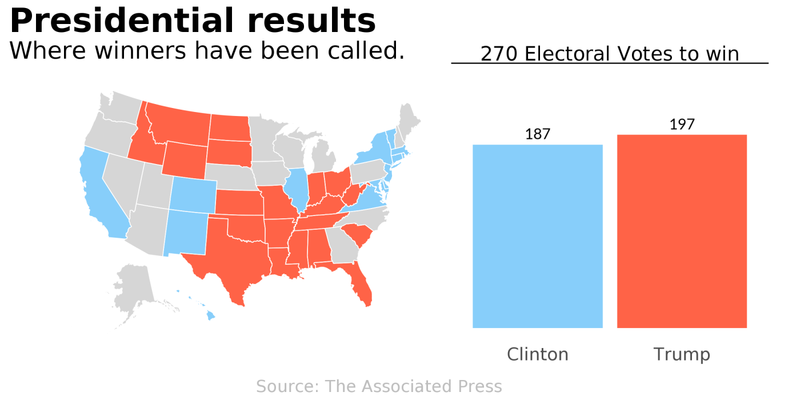 Nov. 8, 2016, 7:49 a.m.
Nov. 7, 2016, 8:33 p.m.
Will towns where a majority voted for Obama continue to vote for Hillary Clinton? Will any towns that backed Romney shy away from Donald Trump? Nov. 7, 2016, 6:34 p.m.
A record 2.1 million Connecticut residents are registered to vote, so it may be a little crowded at the state’s 760 or so polling places. Here's some things you might not have known. Nov. 7, 2016, 5:14 p.m.
Connecticut residents can look forward to two firsts this Election Day. Want the results from the source? The secretary of the state is planning to post live results for the first time. (See results here.) "It's a year of firsts," said Patrick Gallahue, spokesman for the state's election chief. Nov. 7, 2016, 11:05 a.m.
WASHINGTON — U.S. Rep. John Larson said he will dispatch his campaign workers to polls throughout the 1st District Tuesday to hand out Starbucks coffee in "green unity cups" to activists of all parties camped outside polling places in an effort to bring peace to a nasty, divisive campaign season. Larson said he is following the lead of Starbucks CEO Howard Schultz, a supporter of Democrat Hillary Clinton, who sent his employees a letter urging them to embrace "respect and dignity" in the face of an "epic, unseemly election." "Whatever our political differences, we are all Americans,” Larson said. “We all deserve to be treated with dignity and respect. I commend Starbucks and the leadership of Howard Schultz for reminding us to listen to our better angels—not partisan bickering." Larson said the coffee would be distributed to all representatives of political parties at the polling stations whether they belong to the Republican, Democratic,, Libertarian or Green parties. "We all want the best for our families, our communities, and our country, and it is important to remember what unites us rather than what divides us," Larson said. 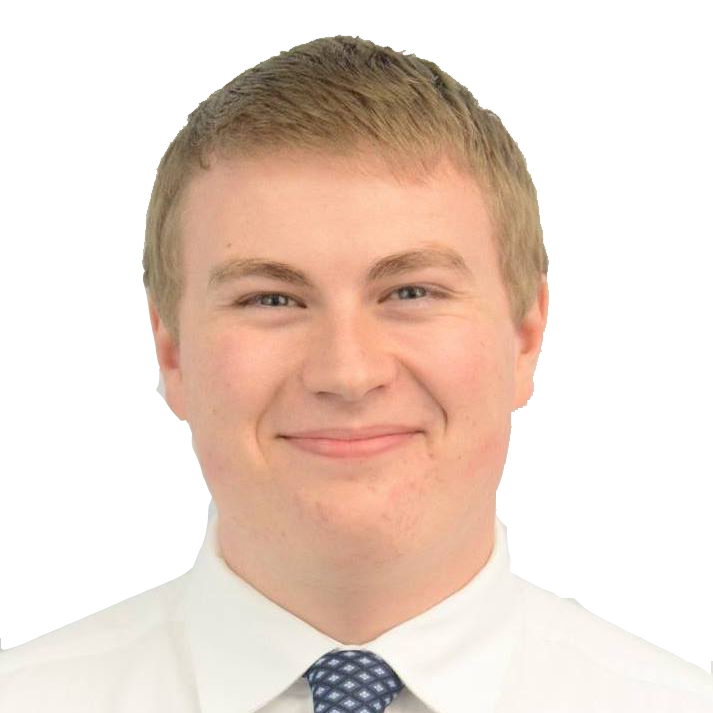 Larson is running for re-election to represent the Hartford-based 1st District against GOP candidate Matthew Corey and Green Party candidate Mike DeRosa. Nov. 7, 2016, 10:28 a.m. The key numbers in the fight for control of the Connecticut Senate are nine, six, three and four. The nine most competitive races involve six seats held by Democrats and three by Republicans. The GOP needs a net gain of four seats to win a 19-17 majority, which would be their first since 1994, when Republican John G. Rowland won the first of his three terms as governor. The chamber of the state Senate. Nov. 7, 2016, 10:01 a.m.
On the last weekend before voters go to the polls, the same question gnawed at Republican Andrew Falvey in Cheshire and Democrat Laura Bartok in Bristol, each a candidate in competitive state House districts. Were their presidential nominees a help or hindrance to them and other down-ballot candidates? Volunteers at a Democratic phone bank in Hartford. Nov. 7, 2016, 8:31 a.m.
Connecticut's voting system is highly decentralized, which would make tampering with voting results extremely difficult, said Secretary of the State Denise Merrill. Nov. 7, 2016, 7:44 a.m.
State officials had to conduct last minute training last week on how to conduct Election Day Registration in New Haven since the city's registrars failed to participate in three previous training sessions. Officials said they also noticed that New Haven's registrar's office might be understaffed and might not have enough ballots. In 2014, about 100 people did not get to vote because the registrars could not sign them up before the cutoff of 8 p.m. This year, during a presidential election, officials anticipate a much larger crowd. Nov. 7, 2016, 4 a.m.
Donald Trump won big in Connecticut’s Republican primary election, getting two votes for every single John Kasich vote. The number of towns Trump did not win can be counted on one hand: Salisbury, West Hartford, New Canaan, Darien and Westport. Nov. 5, 2016, 10:29 a.m. Candidates for the Connecticut General Assembly collectively raised more than $700,000 in campaign funds leading up to this November’s election, according to data obtained on June 8. Gail Lavielle, a third-term Republican incumbent from the 143rd District, raised the most of any state House candidate, pulling in $9,790. State Senate Majority Leader Bob Duff, a Democrat from the 25th District, topped his chamber’s list with $19,430. Search districts, towns, or representative. Nov. 4, 2016, 6 p.m.
Danbury — America’s approach to regulating the sale of guns was the brightest line dividing U.S. Rep. Elizabeth Esty, D-5th District, and Republican Clay Cope, Oct. 13 in the first debate of a quiet congressional campaign that’s often seemed lost in the clamor enveloping Donald J. Trump and Hillary Clinton. Nov. 4, 2016, 1 p.m.
Nov. 4, 2016, 10:29 a.m.
Bernie Sanders won 116 towns in Connecticut but Hillary Clinton gained more total primary votes. According to a Trend CT analysis, Clinton edged out Sanders with support in more populous areas and urban cities, which made all the difference in the outcome. Nov. 4, 2016, 8 a.m.
Washington – While the odds that Sen. Richard Blumenthal will be re-elected are among the highest in this year's U.S. Senate races, he’s also under constant fire from a Republican opponent, state Rep. Dan Carter, who has laid siege to the popular Democrat. Nov. 4, 2016, 5 a.m.
Washington – Calling the move “highly unusual,” Sen. Richard Blumenthal weighed in on FBI Director James Comey’s decision to tell Congress that his agency may have found more emails from Hillary Clinton’s private server. Nov. 3, 2016, 5 p.m.
Washington – An exclusive group of about two dozen Connecticut residents has raised millions of dollars to help put Hillary Clinton in the White House. These mostly wealthy contributors – after reaching their personal federal contribution caps of $2,700 for a primary and $2,700 for a general election – have “bundled” contributions, which means they have turned to friends, associates and anyone else willing to give to a candidate. Nov. 3, 2016, 3 p.m.
Washington – Following a national trend, Connecticut’s defense workers and their bosses overwhelmingly gave to the campaign of Hillary Clinton, while slighting that of Donald Trump. The overall turnout for the presidential primaries in April was higher than Connecticut has seen in at least 40 years. This year saw a historic turnout among Republicans, according to the recently released Statement of the Vote from the Office of the Secretary of the State. Washington – With the notable exception of Linda McMahon, Connecticut’s Republican mega-donors have largely steered clear of helping their party’s standard bearer – Donald J. Trump. Nov. 3, 2016, 7 a.m.
Nov. 3, 2016, 4 a.m.
Emil Frankel, a former Connecticut transportation commissioner, is among the former transportation and environmental appointees of President George W. Bush to sign a letter opposing the election of Donald J. Trump, calling him an affront to Republican values and a threat to environmental and transportation safety. Nov. 2, 2016, 5 p.m. The leadership of the state House Democratic caucus is set for 2017 -- so long as the Democrats do not lose more than 11 seats on Nov. 8, when all 151 seats in the House are up for election. Rep. Toni E. Walker, D-New Haven, has dropped out of the race for majority leader, conceding the contest to Rep. Matthew D. Ritter, D-Hartford. Nov. 2, 2016, 3 p.m.
Washington – This political season, gun control advocates are bolstered by Hillary Clinton’s embrace of their issue and an increase in the political cash they've raised, even as they continue to be outgunned by the National Rifle Association when it comes to campaign spending. Nov. 2, 2016, 10:58 a.m.
Business groups intent on boosting the influence of Republicans in the General Assembly outspent labor allies of majority Democrats by roughly a 2-1 margin in independent expenditures reported to the State Elections Enforcement Commission through Tuesday, according to an analysis by CT Mirror. Nov. 2, 2016, 9:21 a.m. There are a record-number of voters registered to participate in this upcoming election. Connecticut's new online system to register voters, which a large group of young people have used. They needed to be registered a month before the primary presidential elections to help narrow down the candidates. Voter participation picks up in even-year elections. Oct. 31, 2016, 8:52 a.m.
Oct. 27, 2016, 1:43 p.m.
Oct. 26, 2016, 1:35 p.m.